This is for members whose account are active and in good standing. A transaction fee $1.50 will be charged. Ticket for Holiday Gala- Includes Live Music, Food and Drinks. A Transaction Fee of $1.50 will be charged. 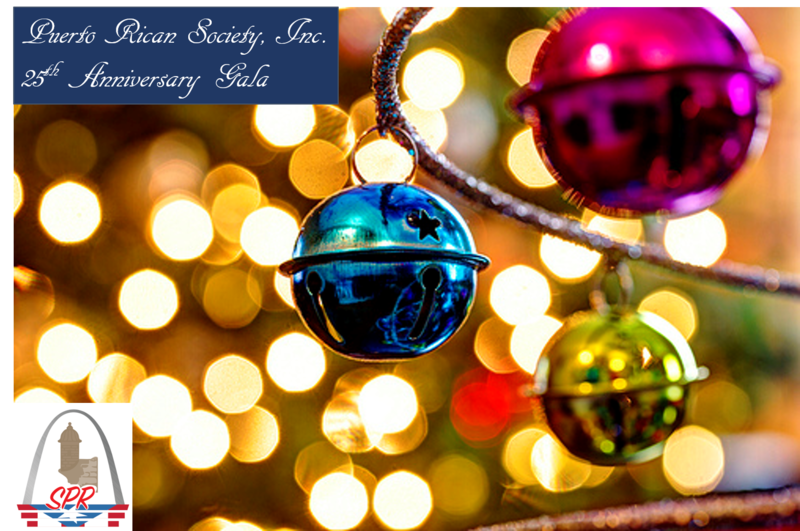 The Puerto Rican Society of St. Louis would like to invite you to our biggest celebration to date, the SPR 25th Anniversary Holiday Gala 2019 on Saturday, December 14. This is a fundraising event, please mark your calendars and consider donating to this great cause. Feliz vigésimo quinto aniversario a todos nuestros miembros! We have already started the planning, event details will be announced in the upcoming months.